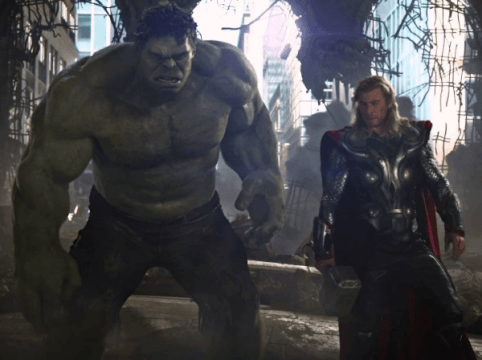 The Marvel Cinematic Universe has so many moving parts that it can be difficult to stay up to date on each individual project, but one that’s been particularly interesting to keep an eye on throughout development has been Thor: Ragnarok. From the second What We Do in the Shadows helmer Taika Waititi secured the directing gig, it was generally understood that this was going to be an interesting Marvel outing – the director is known best for his comedy, which stands in stark contrast to Thor: The Dark World, widely seen as one of the most grim MCU entries. And now, at Wizard World Philadelphia, stars Chris Hemsworth and Tom Hiddleston have indicated as much, chatting about the humor on display in the pic as well as the possibility of a much-anticipated reunion between Hiddleston’s Loki and Mark Ruffalo’s Hulk (whose role in the pic is sizable). That’s admittedly not much to go on, but it’s understandable why Hemsworth and Hiddleston are being tight-lipped about the pic. At this stage, the film is over a year away, and there’s really no reason to tease out details for a good few months now.